So, long story short. I was having a really bad acne flare up last week and I was really self conscious of it as I had two great big whoppers on my face. I was in blue water at the time so decided to check out boots to see if there was anything in the skincare section that could possibly help. 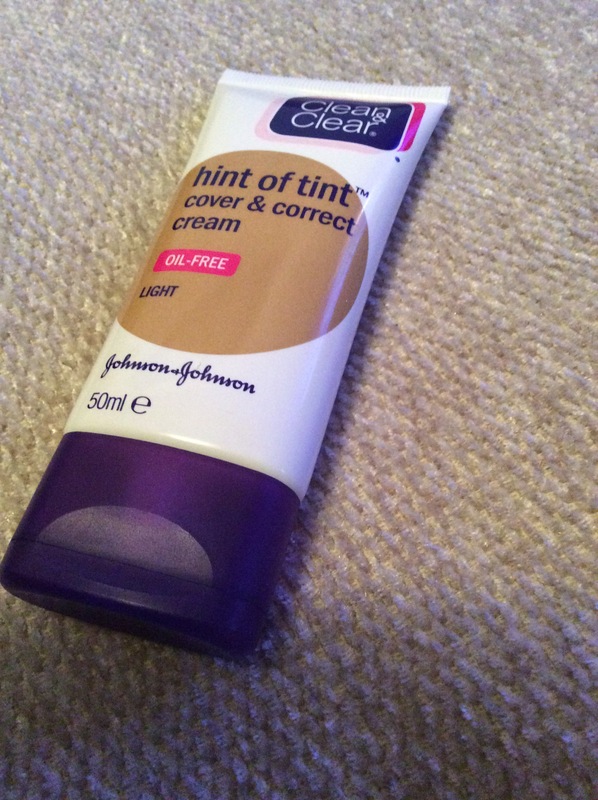 After looking round for a bit the Johnsons Hint of Tint caught my eye, not because it claimed to work miracles but because I simply liked the look of it and the packaging. After reading on the box what it claimed it could do, I guess I had nothing to lose (except £5.99) and I was pretty desperate. I didn’t use it till a few days later and I must admit, I haven’t had much luck with these kinds of products so I wasn’t getting my hopes up. It applied to my skin easily and blended in like a charm considering I used my fingers. Needless to say, I was super impressed with the coverage as being a moisturiser it is designed to give very light – light coverage, but it definitely made a difference on my complexion, and my zits! Unfortunately, I’m one of those people who sometimes suffer with dry skin around my spot, and it seemed to emphasise that a little but compared to a regular foundation, it was nothing! Personally I’d recommend this product to all as it gives your skin that little pick me up it needs! And if you’re like me and get an oily T zone, I find this product shines on that area so I just blot it with a little powder and it looks great! !